I started Dollycas’s Thoughts back on December 31, 2009 as a New Year’s Resolution. On October 10, 2011 it morphed into Escape With Dollycas Into A Good Book. I love my new look and hope you do too. I know it loads much faster and seems to work much better for everyone. I am kicking off the celebration with a giveaway, of course. There will be giveaways every day of the celebration!! I love sharing my books!! 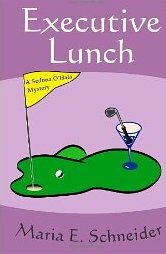 Today giveaway features the Sedona O’Hala Mysteries by Maria E. Schneider. One winner will receive the first two books in this series! 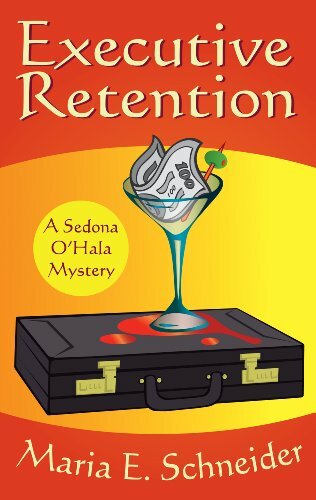 Sedona O’Hala is a “lab rat” in the high tech industry of Information Technology! that will have you laughing out loud. With just enough surprises to keep you guessing who-dun-it until the very end. a great escape for your reading pleasure. To Win these wonderful books you need to fill out the form below and answer correctly one very important question about ME!! **Note: Google Friend Connect will soon be disappearing so to encourage you to change your way of following my blog GFC only gives you 1 Bonus Entry for this giveaway. Just stopping by to congratulate you on your blogoversary! Congrats on your second anniversary! Wonderful blog, and even nicer person behind it! Happy Blogiversay to you! Happy Blogiversay to you….ok I’ll stop singing…II know I sing bad but want to give it a shot lol. Two years and many, many more to come!! If it wasn’t for your blog, we wouldn’t have become and had the chance to develop the great friendship that we have. Congratulations!! Happy blogoversary Lori. This is a great blog! Just stopping by to say Happy Blogoversary! I already read these books and they are wonderful. Love your blog. Interesting post and giveaways. Congrats on your Blogoversary and hope you have many more.